A new report released by computer security company McAfee, along with the Center for Strategic and International Studies said that Cyber Attacks worldwide are estimated to have caused losses of up to US $1 trillion a year. As CNet reported, reports maker said the annual loss estimate by Cyber Attack is really difficult because some companies hide their losses, while others do not know how the theft losses as a result of that case. In the latest report, McAfee and CSIS, sees losses in six categories: the loss of intellectual property, cyber crime, loss of business information, interruption of service, the cost of a rescue network, and ruin the reputation of a company that attacked. “We use a number of analogies where the cost has been calculated to give you an idea of the scope of the problem, allowing us to set coarse limits–top (ceiling) and bottom (floor)- for activity losses of cyber dangerous, by comparing with other kinds of crime and his losses,” write the report maker. For example, in the United States, a car accident has led to losses of State $168 billion a year, or 0.7 percent to 1.2 percent of gross domestic product. By comparison, the cyber attack was harm U.S. $24 billion to $120 billion a year, or 0.2 percent to 0.8 percent of GDP. 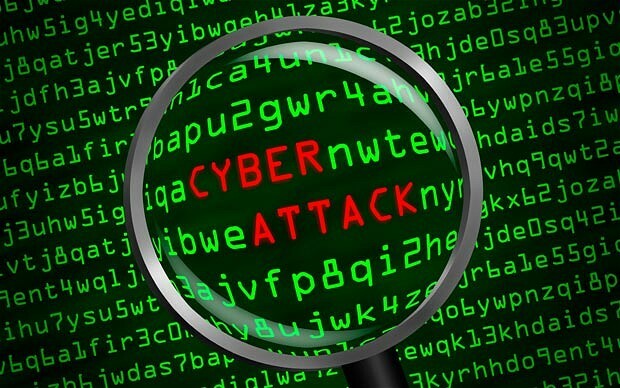 The report also mentioned the loss of jobs in the U.S. by cyber attack reaches 508.000. In 2009, McAfee released a report that said data theft and violation that caused by cyber crime raises fees businesses up to $1 trillion globally as a result of loss of intellectual property and spending to repair the damage. While global numbers in his latest report, McAfee still declare losses of $1 trillion, but the numbers includes 300 billion dollars as the lowest limit of the estimated losses. A study released by Team Cymru on last February said, hackers have stolen up to one terabyte of data per day from Government, business, military, and academic facilities. Related to "Cyber Attack Causes the Loss of US $1 trillion a Year"